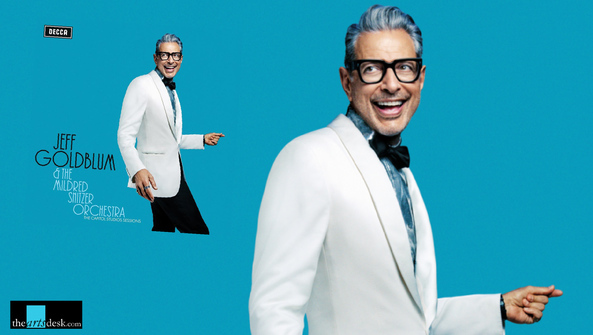 Take a bow Jeff Goldblum who, with a little help from friends Imelda May, Haley Reinhart, Sarah Silverman and Grammy-winning trumpeter Till Bronner, transports us into a chic cabaret club for an evening with Jeff Goldblum & The Mildred Snitzer Orchestra. 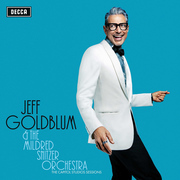 Goldblum leads from the piano throughout, engaging in jokes and banter with his fellow performers, in a live set recorded in Studios A and B at Capitol Records in LA. Larry Klein is the producer and he ought to be pleased with Goldblum's opening number, "Cantaloupe Island", by Herbie Hancock, one of his many celebrated artists. The Duke would surely love "Caravan", which bowls along briskly, Kenny Elliot's drums, Joe Bagg's Hammond and Alex Frank's slapped bass coalescing nicely beneath James King on sax and Bronner on trumpet, Goldblum of course sitting in Ellington's seat. Imelda May puts her stamp on "This Bitter Earth", a 1960 hit for Dinah Washington, and "Come On-a-My House" while Haley Reinhart tips her hat to Nina Simone on "My Baby Just Cares for Me". The verbal knockabout between Goldblum and comedian Sarah Silverman works well, Silverman at times channelling Edith Bunker as she trades ad-libbed lines with the piano man. Charles Mingus' "Nostalgia in Times Square" is very cool. Wow, this is truly infectious! Feel-good music played so well and by a guy whose day job is as an actor.